Open House, Sunday, April 7th, 11-1. Welcome to "Green Hill Estates." North Easton's Newest Neighborhood and Best Kept Secret off of Rockland St. This custom built Colonial is looking for your fine finishing touches. 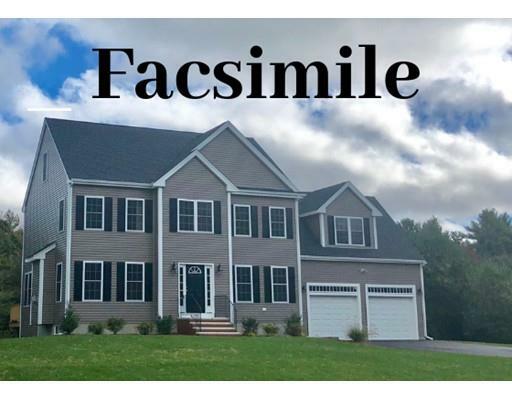 This home comes with a spectacular kitchen that opens into the family room with fireplace, formal living & dining rooms with shiny hardwood floors throughout the 1st floor, 2.5 tiled baths, private master suite over the 2 car garage and top of the line features & amenities. Great location in town, set in 4 lot cul-de-sac with the schools, "5 Corners, " Borderland State Park and historic district nearby. Now is the time to tailor this home to your family needs. Let's BUILD DREAMS!!! Call a private showing today.